I spent the weekend in Boston visiting my daughter. 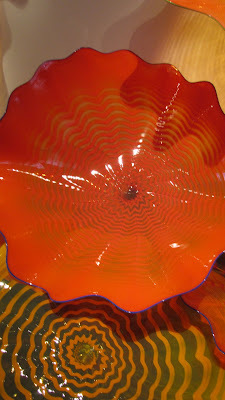 On Sunday, we attended the Chihuly exhibition at The Museum of Fine Arts. Living three hours west of Boston, I've been to the MFA many times, both on weekdays and weekends. Never have I seen a line spilling out of the main entrance, down the steps and out onto the sidewalk. It was body to body inside, with the temperatures in the low 90s F (33 C) outside. The works themselves were truly awe inspiring, hence its popularly with so many people of all ages. Photography was allowed so all of the following photos were taken by me. 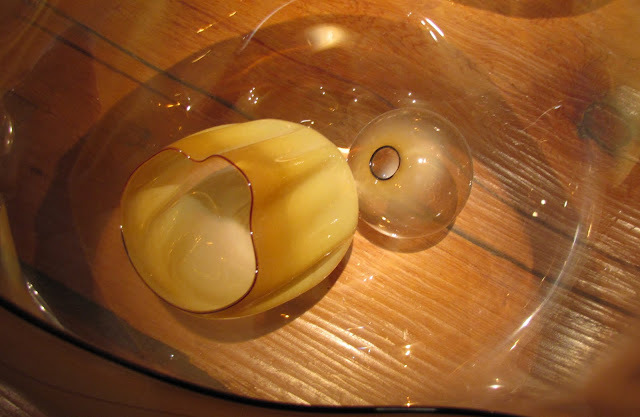 “Glass is the most magical of all materials. It transmits light in a special way ..."
Wow! These pieces are absolutely incredible. They are so full of life and the colours are just amazing! His work is really fabulous, from the smallest piece to the most massive. It is awe-inspiring. Amazing pictures. Absolutely in love with them. Can't imagine how lovely it would be to see it for real. How long is the exhibition going to last? Oh my! 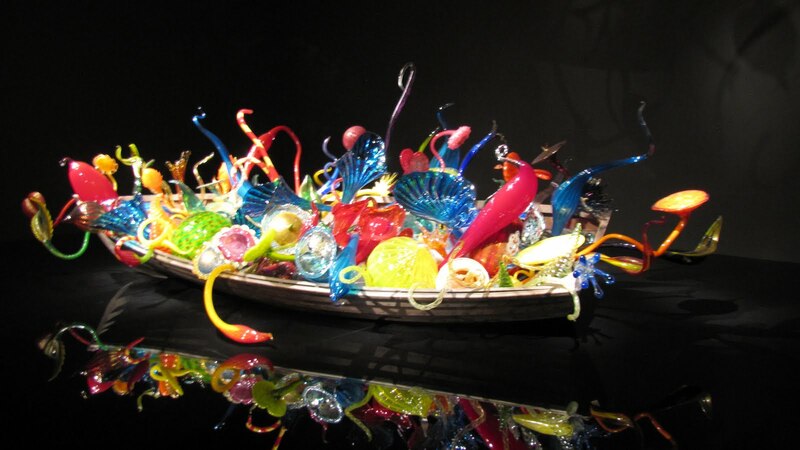 Chihuly! I'm jealous but really glad they let you take photos! Oh, these are incredible indeed, Gina! I love them all! So colorful! What a great post for the C Day! Hope all is going well with you! 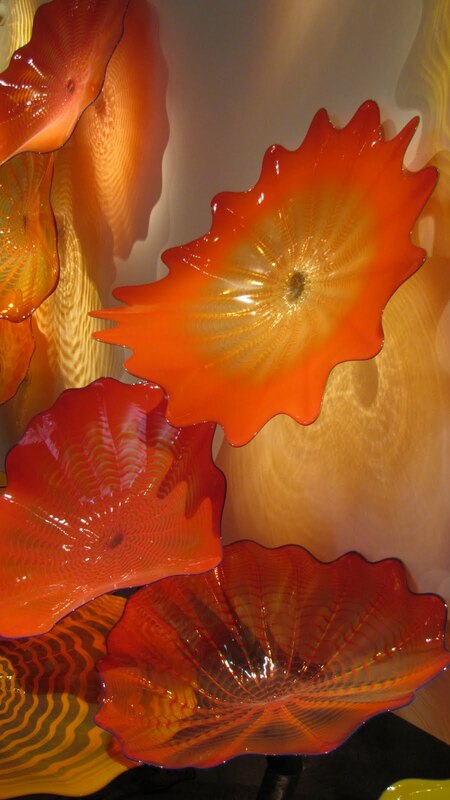 Chihuly is a stunning artist. I almost posted some of his work myself. His lack of depth perception is a surprise to me. It makes me appreciate his work that much more. Wonderful photos. 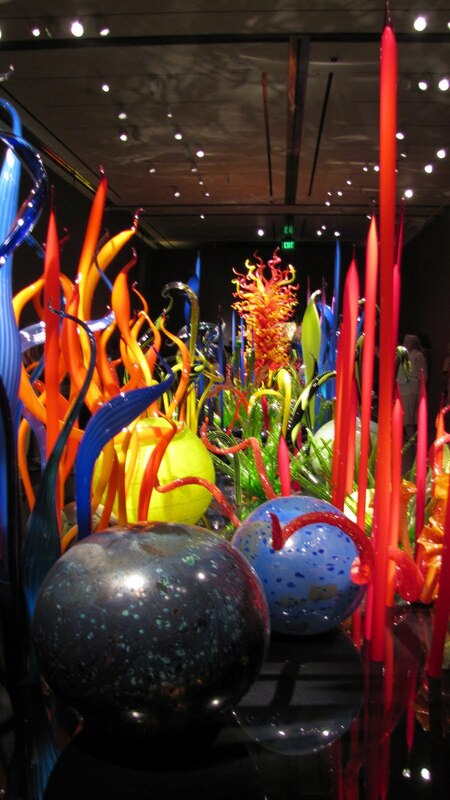 Everyone should have the opportunity to see a Chihuly exhibit. I love it when they allow photos! and yours are a fine representation. These are such wonderful exhibits and brilliantly photographed. Glass is amazing. Thank you sharing. It is lovely to be able to see what is going on in other countries, other places. 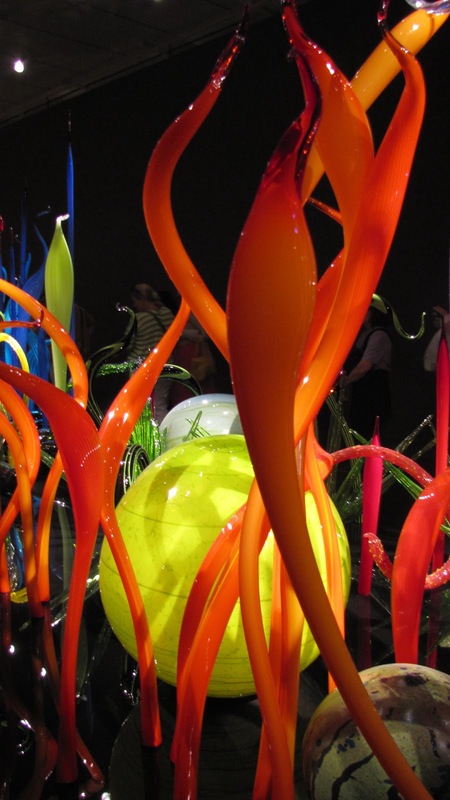 I have been to two Chihuly exhibits - each one was incredible. Your photos are excellent! I find his exhibits a true wonderland of glass. Great post! 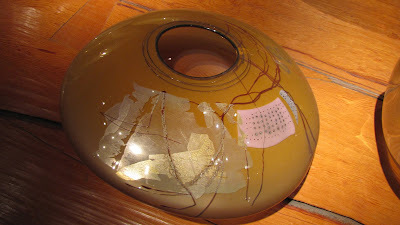 Beautiful glass work and very expensive I would imagine! Gorgeous works beautifully captured through your lens. One of the really nice things about living in the PNW was being able to see Chihuly's work fairly often.. but never often enough. The strange thing is that the work done by him and his team is always instantly recognizable and completely irresistible too. His colors and forms just keep moving into impossible spaces. I can well believe that if we ever do manage to get through this difficult period in human development that his work will still be treasured a thousand years from now. One of my proudest moments was when I had my glass bead jewelry exhibited in the same Portland gallery that was showing half a dozen Chihuly chandeliers. 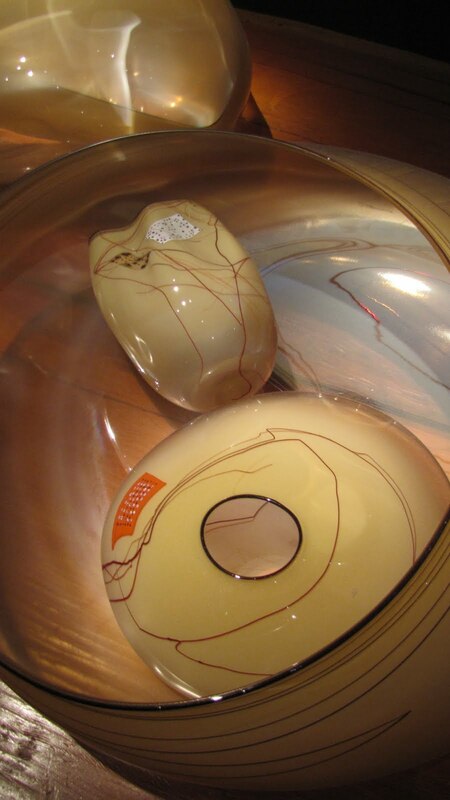 This is very special glass art. No wonder the museum was packed. Oh yes! 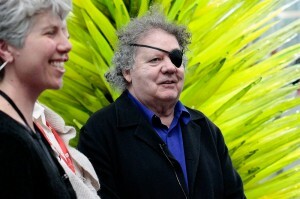 Dale Chihuly is dear to my heart. He had his glass works all over Kew Gardens (famous botanical garden in London) one year, and they were showing a video of him too. In fact I have an experimental blog Fiaschi which features some of his pieces as a kind of logo - in that the word fiasco comes from the Italian word for flask. When the venetian glassblowers tried to make something exquisite but it didn't work out, they would recycle their mistake by fashioning it into a wine-flask. I'm plainly well behind the curve, as this magician is news to me. Beautiful stuff, and your photographs of it are exquisite. 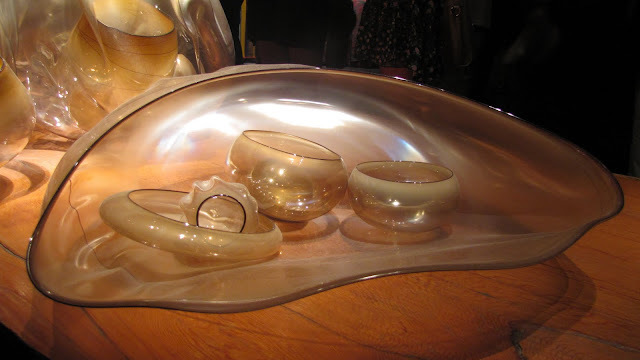 Ursi raved about the exhibit and, more importantly, about sharing it with you. Susan - your bracelets are so exquisite and deserve the company of other wonderful art! Jams - glass is a tempting thing to collect! I have a few pieces, probably not worth much but I like to look at them. A Chihuly is beyond my price range! CR - why, thank you for the very kind comment! Always glad to be a source of good things for my friends! Yes, Ursula and I had a great time. She's a lot of fun to do things with. I have never seen any of his work in person - but I really hope to. I LOVE the comments about colors and the forms coming from nature. He's lived up to both. The glass looks like it grew there, or was washed up on some fertile shore. I saw this exhibition at the end of June. The line was horrendous, so I wasn't going to go (and I have seen Chihuly works dozens of times), but when I asked for directions to the men's room, I was directed halfway down the stairs, ahead of those standing in line. After conducting my business, it seemed silly not to take advantage of my good fortune and continue down the stairs . . .